Provenance is one of the best emulator, it brings together a collection of classic gaming console emulators into one single app including multiple old school SEGA systems and iconic devices like NES, SNES and Game Boy Advance. This emulator has two versions available as of now. One is the older version which has some bugs but works flawlessly, the other one is the latest version of Provenance which is currently in Beta testing mode. The new version has been built and complied with 64-bit devices in mind with compatibility for iOS 11. This emulator is developed by James Addyman. Provenance has cutting edge features, you can add external controllers so you can play all your classic games like you used to. This is just an emulator so you have to download game ROMs manually to be able to play games using this. It is highly recommended by GitHub page as well, Provenance is available to download on all iOS devices. You can get Provenance from TweakBox, this is a third party app store which is available for iOS devices. 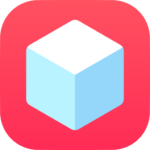 TweakBox is the second best app after Cydia to provide the best tweaks and modded apps and games for free. There is no need to jailbreak your device to download TweakBox, you need to have a device running on iOS 9 or above to successfully download TweakBox. TweakBox constantly keeps on updating its homepage so the user is updated with all the latest apps and games that are hitting the market and are available to download. Download TweakBox on your iPhone/iPad/iPod Touch. Go to Settings > General Settings > Device Management > then allow “Trust TweakBox”. Launch TweakBox and search for Provenance and download the first suggestion. You have to give Provenance the Trust permission as well. Now you can play all your favourite retro games with this app.